Engin Eren Desteli has completed his PhD at the age of 24 years Hacettepe University,Turkey.He is MD of Orthopedics at Uskudar Hospital,Istanbul, He has over 50 publications that have been cited over 70 times.He has been serving as an editorial member at 2 medical journals.He has written chapters in some orthopedic and Traumatology textbooks such as ‘Basic Techniques for Extremity Reconstruction’ by Springer. Prof. DR. Manjubala Dash, working as a professor in nursing. Specialty is obstetric and Gynaecological nursing. Had 20 years of teaching experience in the field of Nursing. She has organized National and International Conferences, workshops in the field of nursing. Had participated and presented more than 100 papers in the National and international conferences. 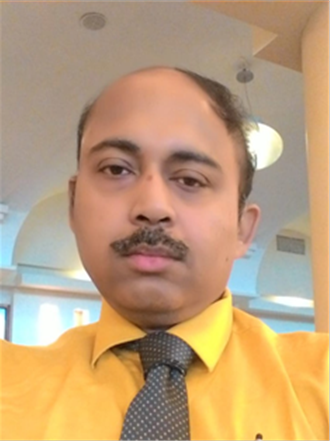 Had published articles nearly 50 in national and international Journals. She is the co-editor of International Journal of Nursing Panorama, The Genesis, Contemporary journal of Microbiology etc. Published 3 books in the field of Midwifery and Word management. Contributed chapters for Midwifery Books. She is a National Trainer for Infant and Young Child Feeding Counselling Specialist course. Did many research project under DHR and ICMR, DST etc. main interest is in research, education, and administration. Conducted many programmes for antenatal, postnatal mothers at the community level and hospital level. She got the opportunity to deliver a talk at the International and National Conferences. 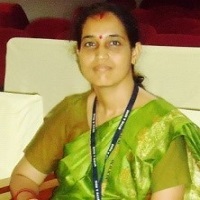 She is guiding the Students of UG, PG, and Ph.D. for Research. She is a recognized guide in different university and examiner for PG and Ph.D. Students too. She has gone for conducting Inspections to various colleges by the Indian Nursing Council. Hormone replacement therapy (HRT) in menopause is medical treatment in surgically menopausal, perimenopause and postmenopausal women. Its goal is to mitigate discomfort caused by diminished circulating estrogen and progesterone hormones in menopause. Combination HRT is often recommended as it decreases the amount of endometrial hyperplasia and cancer associated with unopposed estrogen therapy. The main hormones involved are estrogen, progesterone and progestin. Some recent therapies include the use of androgens as well. Women who should take hormone replacement therapy. There are several groups of women where the use of HRT might be indicated: those experiencing symptoms of the menopause, such as hot flushes, sweats or genitourinary symptoms; those that have had an early menopause; as a second-line therapy for osteoporosis protection in women over 50 years old; women who shouldn’t take hormone replacement therapy. The risks of taking HRT are thought to outweigh the benefits for some women. For example, HRT may not advise in the following cases: if women have a history of womb (endometrial) cancer, ovarian cancer or breast cancer; if women have a history of blood clots (a DVT or a PE). If women have a personal or family history of blood clots, doctor may suggest doing a thrombophilia screen (a blood test to look for any blood clotting problems), if women have a history of heart attack, angina or stroke, if women have uncontrolled high blood pressure, if women are pregnant, if women have severe liver disease, if women have an undiagnosed breast lump and if women are being investigated for abnormal vaginal bleeding. The benefits of HRT. HRT is the most effective treatment for hot flushes and night sweats. HRT also effectively treats vaginal dryness. By reducing menopausal symptoms HRT may improve quality of life. HRT reduces the risk of postmenopausal bone fracture, including hip fracture. HRT use is not associated with weight gain. Side-effects of HRT Common sideeffects associated with combined HRT are breast tenderness or enlargement, nausea, fluid retention and headache. Heavy, irregular or unscheduled bleeding can occur and is likely to need investigation if it occurs after the first six months of HRT use. Rekha G S has experience in clinical, teaching, research field and public health. Her passion is in patient care, research and teaching. Breast cancer is the second most common cancer in women after skin cancer. Mammograms can detect breast cancer early, possibly before it has spread. But BRCA will assess the risk of cancer in the family and thereby one can adopt prophylactic measures to prevent cancer. Breast cancer is one of the most common cancer in women both in the developed and developing countries. It is estimated that worldwide over 508 000 women died in 2011 due to breast cancer. Although it was thought to be a disease of the developed countries, almost 50% of breast cancer cases and 58% of deaths occurred in developing countries. Incidence rates vary greatly worldwide from 19.3 per 100,000 women in Eastern Africa to 89.7 per 100,000 women in Western Europe. In most of the developing regions the incidence rates are below 40 per 100,000. The lowest incidence rates are found in most African countries, but interesting fact is that incidence is currently increasing in these regions. India accounts for the third highest number of cancer cases among women after China and the US and is growing annually at 4.5-5%. Indian mortality rates for breast and ovarian cancer are also the highest in the world. Statistics reveals that the mortality rates for cervical and breast cancer in India are 1.6 to 1.7 times higher than maternal mortality. We are now witnessing drastically increasing numbers of breast cancer to be in the younger women. To understand the role of BRCA in prevention of cancer. BRCA1 and BRCA2 are human genes that produce tumour suppressor proteins. These proteins help to repair damaged DNA and, therefore, play a role in ensuring the stability of each cell’s genetic material. A harmful BRCA1 or BRCA2 mutation can be inherited from a person’s mother or father. Each child of a parent who carries a mutation in one of these genes has a 50% chance (or one chance in two) of inheriting the mutation. The effects of mutations in BRCA1 and BRCA2 are seen even when a person’s second copy of the gene is normal. The benefits of BRCA are enhanced screening, prophylactic (risk-reducing) surgery, chemoprevention and improving quality of life. Debasree Das has completed her MSc (specialization in Biological Anthropology) in 2015 from University of Calcutta and qualified for prestigious lectureship UGC conducted NET examination and admitted in the PhD program in Anthropology under the auspices of University of Calcutta. She has successfully completed the workshop in research methodology and presented research articles in Indian conferences. 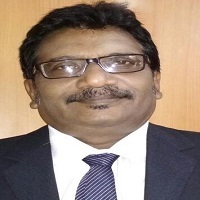 Working as a contractual fulltime Teacher in Anthropology in an institution that is affiliated to the University of Calcutta she is teaching the students in graduate level. 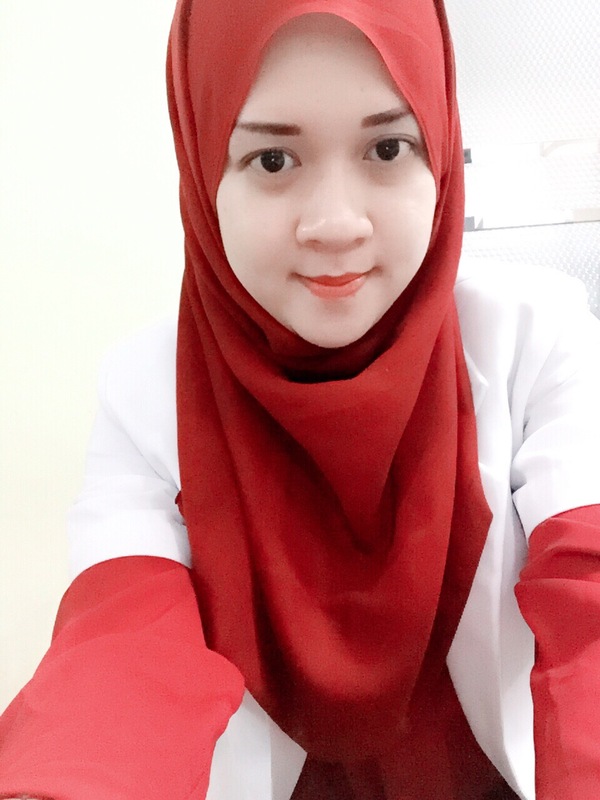 She has a hand on experience in laboratory work regarding serology, electrophoresis, anthropometry and dermatoglyphic. She has the publication in peer reviewed journals. Previous studies revealed relationship between human earwax (cerumen) type and colostrums secretion. However, the earwax, colostrums are produced from apocrine gland. Furthermore, the human axillary gland secretion is also from apocrine gland. In this context, the present study is attempted to understand the association of earwax type, colostrums secretion and axillary microbium. To achieve the purpose, earwax type, information about colostrums secretion and axillary microbium have been obtained from 35 lactating Bengalee Hindu caste females. To best of the knowledge, this is the first attempt from India to understand the relationship between earwax type, colostrums secretion and axillary microbium. The result demonstrated significant (p<0.05) association between wet earwaxtype and colostrums secretion. To understand the relationship between axillary microbium and earwax type, the cultured microbium (taken from 11 participants) were digested by Hind III restriction enzyme and genotyping was done by agarose electrophoresis using standard technique. Examination on genotypes revealed three variations in genotypes e.g., A (>1000 bp), B (1000-750 bp) and C (750-500 bp) in cultured microbium. Further analysis demonstrated significant (p<0.05) association between wet earwax and B type of axillary microbium. Therefore, the present study envisaged strong association of wet earwax type with high colostrums secretion and B type axillary microbium. Dipendra Pandey is a Consultant Orthopaedics Surgeon working at government based National Trauma Centre at Kathmandu in Nepal. 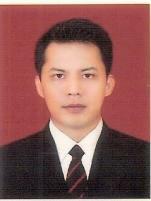 He completed his MS (Orthopaedics and Traumatology) from National Academy of Medical Sciences, Nepal. He was awarded with AOA Trauma Fellowship from NITOR, Bangladesh. 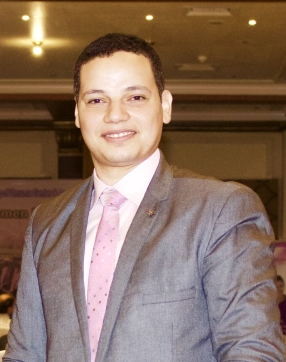 Besides trauma, he is much interested in the field of Rheumatology and Osteoporosis. Introduction: Non-operative treatment for middle third clavicle fractures remained mainstay for until last two decades. But due to the prevalence of nonunion, symptomatic malunion and shortening for displaced fractures, trend has shifted towards operative management. Our study is aimed at prospectively evaluating the functional outcome of 120 patients treated with open reduction and plating with precontoured anatomical plate. This study estimates the functional outcome in terms of DASH score. Methodology: 120 patients from 16 years to 60 years of age, with displaced (>2cm) and/or shortened (>2cm) or comminuted middle third clavicular fractures were included in this prospective observational study conducted in Bir Hospital and National Trauma Center over four years period. Open reduction and internal fixation with precontoured anatomical plate was done. Postoperatively arm is held in a sling for about three weeks with intermittent pendulum exercise after one week or as soon as the pain is tolerable, and range of motion started after four weeks of surgery. Patients were followed up on 2, 6, 12 and 24 weeks. Functional outcome was assessed using DASH score. Statistical analysis was done using SPSS 22. Results: Mid clavicular fractures were more common among males and left side was commoner than right. Younger age group was more commonly affected. All fractures united in a mean radiological union period of 7.1 weeks. Six cases developed pain, 23 had hardware prominence, five case developed superficial infection. DASH score was at significant negligible level by 24 weeks. 98% of patients returned to their work by 12 weeks. Conclusion: Open reduction and internal fixation with pre-contoured anatomical plate in displaced middle third clavicular fractures is safe procedure that avoids complications associated with non-operative management and provides good functional outcome with early return to pre-injury activities. Hemolytic disease of the newborn (HDN) used to be a major cause of fetal loss and death among newborn babies. It has been recognized that maternal-fetal ABO incompatibility is the most frequent cause of HDN. The present study attempts to find the role of haptoglobin in the hemolytic disease of the newborn (HDN), to ascertain the selective advantage of HP*1 alleles over HP*2 alleles, and to find the association of haptoglobin with ABO blood group system. To achieve the purpose a total of 572 children with HDN were studied along with their parents. On the other hand, 1000 newborns without HDN as controls were taken as controls. ABO blood group was done by antigenantisera agglutination test and haptoglobin (HP) types were ascertained by Polyacrylamide Gel Electrophoresis (PAGE) following standard techniques. Allele frequencies of these polymorphic markers calculated were computed by maximum likelihood estimation. Distribution of haptoglobin groups according to ABO blood group mother–child combinations were studied. Mothers of HDN patients revealed an excess frequency of `O` alleles and children with HDN demonstrated a significant excess of ‘A’ alleles compared to those of control 1000 newborns. The allele frequency of HP*1, was found to be higher among HDN children with ABO incompatible mother-child combinations, than those among the HDN patients with ABO compatible mother-child combinations. Further follow up of the HDN samples without detectable haptoglobin types required exchange transfusion, but those with detectable haptoglobin types did not require exchange transfusion irrespective of mother–child combination. Trend towards protective effects of HP in mean hemoglobin level and other parameters of HDN patients was evident. Aesthetic gynecology is relatively a new field in the medical industry but is gaining momentum and has become common practice among women in the past few years. Gynecology deals with the health and functioning of the female reproductive system while Aesthetic Gynecology deals with the visual appearance, sensation and other cosmetic issues with regards to the female reproductive system. My talk will be on: change concepts about aesthetic gynecology-identify indication and alternatives-surgical and nonsurgical tools (in brief)-threads in gynecology-introduce my technique in vaginal tightening by single thread. How to start your cosmetics as a gynecologist. Paola M Millare is a registered Nurse and Doctor. 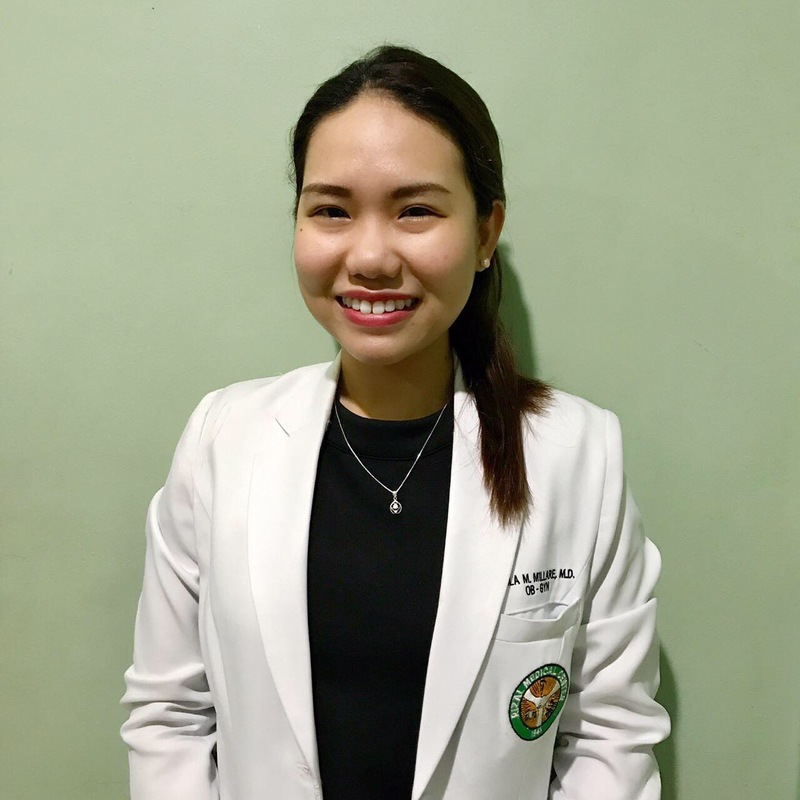 She has done her graduation at Far Eastern University– School of Medicine (2014). She is currently under training as a third year OB resident in Rizal Medical Center, Philippines. Cervical cancer is the most commonly diagnosed gynecological malignancy during pregnancy. Owing to the rarity of the disease, and the complexity of all factors that have to be taken into consideration, standardization of treatment is very difficult. In the Philippines, cervical cancer is the second most common malignancy among women. For this reason much attention has been put to early detection and treatment of the disease. The treatment of cancer during pregnancy is most challenging in the case of cervical cancer, since the pregnant uterus itself is affected. Approximately 500,000 new cases of invasive cervical cancer have been diagnosed worldwide each year with more than 250,000 women dying of the disease. Cervical cancer is the second most common cancer in women after breast cancer. For this reason, much attention has been put to early detection and treatment of the disease. The importance of Pap smear and visual inspection with acetic acid as screening tools cannot be overemphasized. However, cervical cancer remains a leading cause of cancer deaths among women with a low socioeconomic level. Almost half a million cases are diagnosed each year, 80% of whom are from developing countries like the Philippines. The overall survival rate is 44% or 10 in 100,000 women die of the disease in five years. Background: Maternal mortality rate (MMR) is one indicator to see the health status of women AKI is also one of the targets set in the millennium development goals (MDGs), namely improving maternal health where the target to be achieved until 2015 is reducing to ¾ the risk of maternal mortality. Objective: Finding out whether the psychosocial determinants and obstetric medico effect on decision making refers to complications in the obstetric field. Method: The type of research used was observational research with cross sectional study design. The population of the study were all maternity patients and referred to the 430-school network education hospital with the sample of 70 respondents. Result: Results of the study showed that parity (p=0.013), pregnancy distance (p=0.000), poor obstetric history (p=0.013) with complications at Network Hospital in Makassar city. Conclusion: The results showed that the determinant factor of Medico obstetric more dominant influence on maternity referral with complication compared with psychosocial factor. Umiyanti Thenu has completed her medical degree from Indonesia Moeslim University, Indonesia. 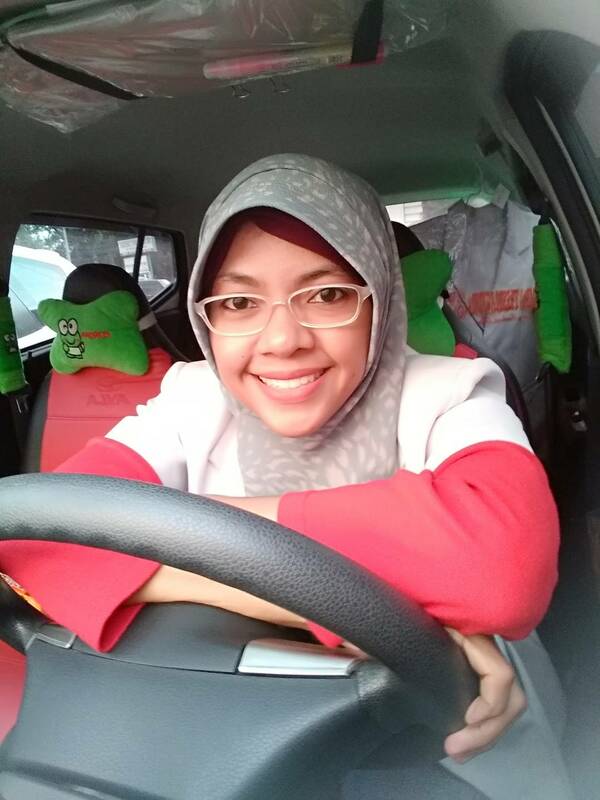 She is pursuing obstetrics and gynecology specialist medical education in Hasanuddin University, Indonesia. Background: Perineal warm compress during the second stage has been shown could decrease risk of perineal laceration or the need for episiotomy in primiparous, but the role between perineal body length with incidence and degree of perineal laceration is still in debate. Objective: To know the correlation of perineal warm compress and perineal body length during the second stage on incident and degree of perineal laceration in primiparous. Methods: The study was a nonrandomized controlled trial. There were 62 samples for the perineal warm compress group and 62 samples for the control group. Results: Using Chi Square correlation test, there’s a significant correlation between the perineal warm compress during the second stage with the incident of perineal laceration (p=0.030) and perineal laceration degree in the primiparaous (p=0.004). However, the perineal body length doesn’t have any correlation with the incident (p=1.000) and degree of the perineal laceration in the primiparous (p=0.149), but the perineal warm compress has a good utility in decreasing the degree of the perineal laceration, particularly in the primiparous with the perineal body length of < 3.3 cm (p=0.006). Conclusion: The perineal warm compress during the second stage decrease the incident and degree of perineal laceration in the primiparaous. But, the perineal body length doesn’t relate with incident and degree of perineal laceration in the primiparaous. Moreover, the perineal warm compress during the second stage can decrease the degree of perineal laceration in primiparous with perineal body length<3.3 cm. 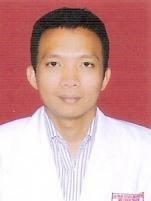 Ervin Chino N Tayag did his degree of BS Biology and Medicine from the University of Santo Tomas in Manila, Philippines. He is currently, the Chief Resident of the Department of Orthopedics of the University of Santo Tomas Hospital. His interests are in adult reconstruction and sports medicine. Background: The anteroposterior axis (Whiteside’s line) of the distal femur has been used to orient the femoral component in total knee arthroplasty. Although initially described as a line connecting the deepest point in the patellar groove and the center of the intercondylar notch, others have used a line connecting the deepest point in the patellar groove to the highest point of the intercondylar notch. Furthermore, depending on the system used, the axis could be determined on the distal femur before or after the distal femoral cut has been made. Objective: The objective of this study is to determine the value of Whiteside’s line varied depending on which landmarks were used and on whether it is taken before or after the distal femoral cut. Methods: The following landmarks were identified from the distal femur of 40 knees: deepest point of the patellar groove, highest point of the intercondylar notch, center of the intercondylar notch, lateral epicondylar prominence, and medial epicondylar prominence. Three lines were drawn: one connecting the patellar groove to the highest point of the intercondylar notch (line A); one connecting the patellar groove to the center of the notch (line B); and one connecting the epicondyles (transepicondylar axis). The distal femur was cut using a total knee distal femoral cutting instrumentation. The same landmarks and lines were identified. The angles subtended by the various lines against a line perpendicular to the transepicondylar axis were recorded. Values in internal rotation were assigned negative numbers while values in external rotation were assigned positive numbers. Results: The mean results of lines A and B in both the uncut and cut distal femurs were negative. Line A measurements tended to be more negative than line B measurements. However, there were no statistical differences among the various measurements taken. Conclusion: Based on this report, measurements taken from the deepest point of the patellar groove to either the highest point of the notch or the center of the notch may be used to determine Whiteside’s line. Furthermore, the results will not be statistically different if taken before or after cutting the distal femur. However, since it is beneficial to avoid internal rotation of the femoral component in total knee replacement, the use of the center of the notch may be a better option than the use of the apex of the notch.